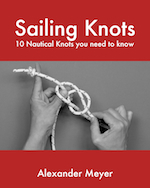 Sailing is a fascinating sport and you can practice it at nearly every age. You can learn it in different ways and exercise it in different ways. Some want relax after work on a dinghy on local waters. Some want to have fun on the weekend and appreciate the comradery in the sailing club. If you want to sail sporty or if you want to calmly glide over the water. If you want to sail alone, with friends or with your family, or if you want to sail a yacht along the coast or if your dream is to sail around the world. There is something for everyone. 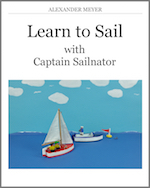 The only thing you have to do is to learn to sail. But the question is how! 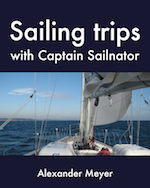 Which sailing course is the right one for me and where can I do it? Shall I start immediately with a course leading to certification or should I begin with a taster course or better directly visit a beginner’s course? This and many more I will explain to you on the following pages. I describe what you can expect in the respective courses and which goal you can reach with it. But the most important goal is always to learn to sail. Although sailing works the same way all over the world there are different certifications and licences in the most countries and the courses might be called in another way. There are national sailing associations with local standards that guarantee a good education in the sailing schools and training centres that are recognised by them. The content of the courses and the standards might change from time to time and from county to country and so I only give a general overview. At the end of this book you find some Internet-links to inform yourself about the courses offered by the respective association.